This could be used for bridging. I'm sure you could come up with things for the other levels, too. We poured the sand into solo cups so the girls could squeeze to make them funnel into the jars. Using the 4oz jars, it's easier to pour sand into the jar. IF the jars aren't full with the ceremony, then allow the girls to use the colors to layer in however they want. Today, we are going to make a sand jar to represent our Girl Scout journey. Becoming a Girl Scout was very exciting. We’ve worked hard to learn the Girl Scout Promise and the Girl Scout Law. To symbolize your true love for being a Girl Scout add green sand to your jar. Your first experience with Girl Scouting was as a Daisy, dressed in Daisy blue. I’ll never forget how excited each of you were to put on your Daisy vest. Add blue sand to your jar to represent your Daisy years. As meetings went on, you learned that Daisy Girl Scouts are special, named after our Founder’s nickname. Juliette Low sold a strand of pearls to help fund the Girl Scout Movement so long ago. Add some white sand to symbolize the pearls and the devotion Juliette had to make her dream of forming Girl Scouts come true. The next step for each of you, will be Brownie Girl Scouts. It will be an exciting time and you’ll get to do so many fun activities. Add a little brown sand to the top to represent the beginning of your Brownie years. A year ago, this girl decided that she was going to focus on music and give up the troop pathway with Girl Scouts... It broke my heart... this past year was really rough, but she's so devoted to her music and has worked so hard. I was speaking with a friend and we were discussing the choice she made... I told her, "You know... we work so hard to build girls of courage, confidence and character... then, we are so sad when they leave scouts to spread their wings and fly forward with something they love. I commend young women that make scouts the priority. But, I also have to say I'm proud of those that find their passion and go for it. I believe this is part of what Juliette Low was fighting for... choices for our young women.... and they have that today.... choices." She's worked hard. She writes her own songs. She does covers for others. She makes each song her own. Seeing her on stage... she is courageous, confident, and full of character... she definitely makes the world a better place... she is everything Girl Scouts works hard to give young women... I'm so proud she's my step-daughter. The videos are about 50 minutes total... the venue was loud and the sound isn't the greatest... but she's a rock star... and not even 14. 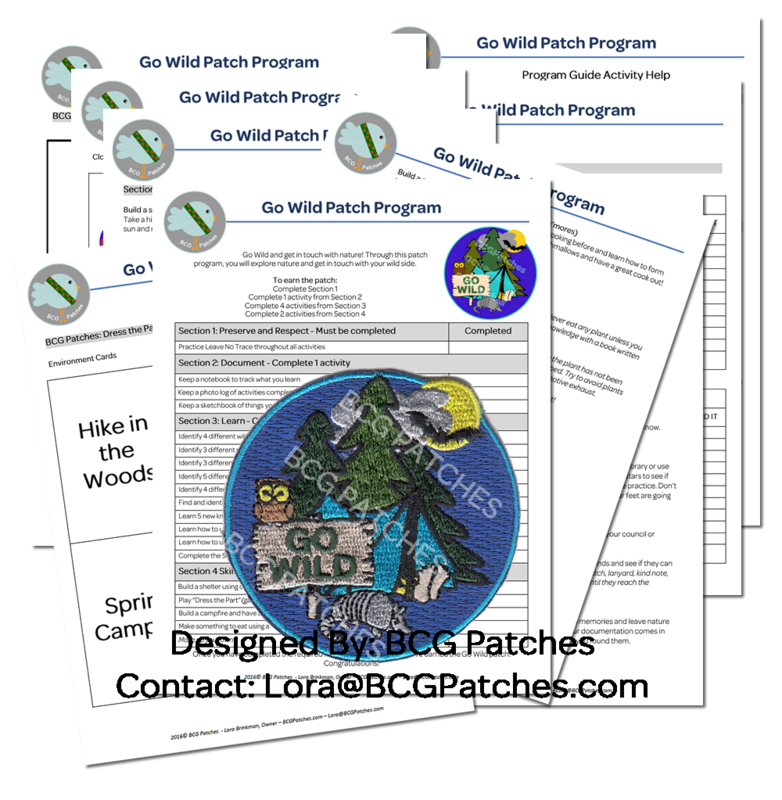 In the June 2016 BCG Patches newsletter, my next patch program will be launched. I'm trying to see how big of a blog following I have and how much traffic comes from here. That means you get to know FIRST that the patch and program guide are available in the store. The patch is a pre-order and is arriving early July. But, if you don't want to wait you can order it now and then I'll ship it as soon as I get it. I really love this patch. I know I should, because it's my own custom design. But seriously, it has an armadillo and a bat on it!!! I think bats are cool and they eat mosquitoes, so they are my friends. Armadillos are just weird little creatures and they were a "life goal" for my girl for quite some time to see one in real life. We tried several times at zoos and trips and she never was able to see one. But, each time she wasn't with us we'd see several. It became a joke. So much so that I stopped on the side of the road to take a picture of roadkill armadillo and messaged her the picture. Apparently, that's what it took. Since then, she's seen several. We bought armadillo slippers to celebrate. The Go Wild Patch Program is about exploring nature and learning about different elements. It has a section to practice your skills for basic survival and preparedness. Any age group can complete this patch program, but the hope is that 4th grade and up will really enjoy it. You can use the program for filler activities during a camping trip, plan the camping trip around the program, or complete over a few hikes and park visits. Activities include identifying flowers, grasses, trees, animal tracks, and documenting the journey... all while practicing Leave No Trace. You can download the 12 page Program Guide for free. 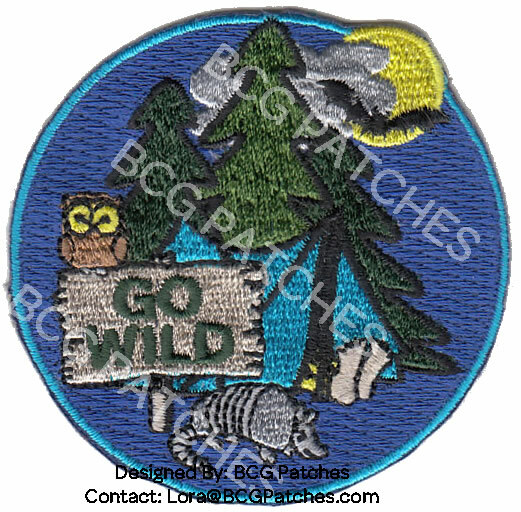 Patches are 2 1/2", fully embroidered, and sew on. They are $2 each, which includes shipping. All patches need to be ordered through the store, so I can keep track of inventory. I'm entering my 7th year as a Girl Scout Leader and my 39th year as a human... I would say that means I have 15 years of adult womanhood... maybe a few less... maybe a few more. Sometimes it is hard for me to remember how I overcame the learning curve of scouting. Other times, I realize I'm still working on that and struggling with it daily. I guess today I just want to speak to my new leader followers and my veteran leaders. We need to cut each other some slack. Veterans: We need to remember we were new once and it's hard to enter into this world and feel like you are doing what you should. New Leaders: Don't think it's a stupid question. Don't think you are being judged by fellow Leaders. REAL Leaders won't judge you. They'll find a polite way to help and offer assistance. That's what REAL Leaders do. If you don't have one of those REAL Leaders in your world, I urge you to find one. I'd be honored to help until you can find one close to where you live to meet face to face. Unfortunately, and fortunately, there are many different personalities in the scout leader world. It means when we work together, we are unstoppable. It means when we spend our time criticizing instead of helping, we are our own destruction. Recently, I had a talk with my almost 14 year old and I told her that no matter what she does in life, she needs to understand she will never satisfy everyone. It's impossible. You will always be disappointing someone and sometimes it's yourself that is the most disappointed. The goal is to minimize those instances of self disappointment. Be true to yourself. Spend time getting to know who you are, if you don't already. Reclaim yourself if you've strayed. You are worth it. As a woman, it's hard. No matter what choice you make, you tell yourself you are letting someone down. Too many times, we hear that from other women, too. We hear it from the media, the latest psychological reports outlining the downfall of today's youth, the doctors that question why we didn't notice whatever ailment earlier, our Moms, our sisters, our friends, and too often, ourselves. We need to bond together. 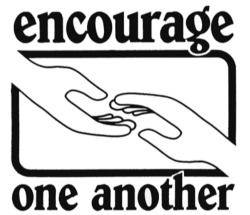 We need to help one another. We need to be the cheerleader for our fellow scout leaders. I want to believe that we are all doing the best we can. 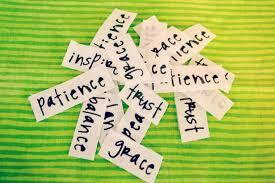 If you are giving your best, then you are fine. Take some time off. Give yourself a break. Remember why you started this journey. Find what is keeping you around. Set a goal for future involvement.